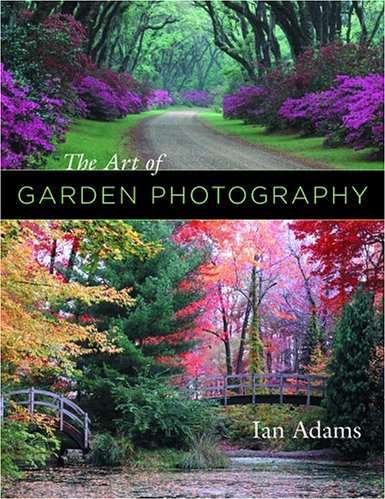 Recommended Books | Walters Gardens, Inc.
An excellent guide for garden photography. Adams describes and instructs through a variety of settings. This color encyclopedia is a wonderful comprehensive single-volume photographic resource on perennial plants. Based on his own extensive experience - he has gardened in climates as dissimilar as Quebec and Georgia and studied plants on three continents- Armitage makes a discerning selection of the best cultivars, from classics to cutting-edge recent introductions. The text is concise and delightful, like a private tutorial with a master teacher. 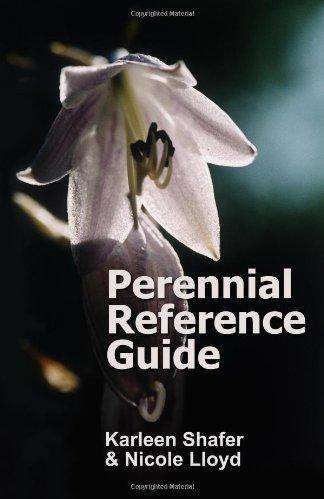 This comprehensive color encyclopedia of native perennials includes concise, to-the-point information on hundreds of species and their cultivars. Each entry includes a general description of the plant plus essential data you need to grow it successfully. 1110 pages, black and white with color inserts. Completely updated third edition! 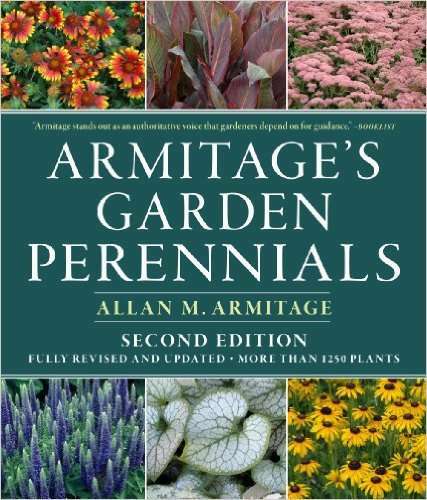 Considered to be one of the most definitive and conclusive books written about perennials, from one of the masters himself, Dr. Allan Armitage. 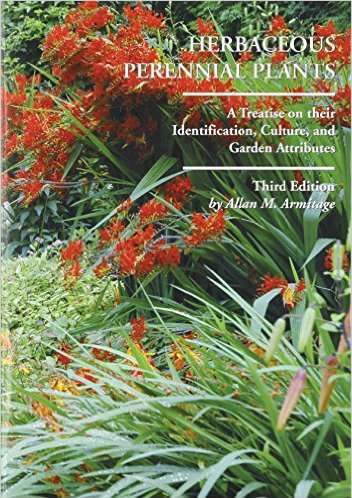 This is a reference guide to the identification and culture of over 3,500 herbaceous perennial plant species, varieties, and cultivars. As always, Dr. Armitage includes his wry commentary on many of the plant entries. 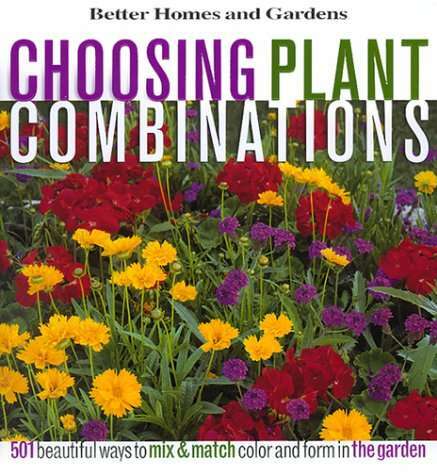 Filled with gorgeous pictures of plant combinations, each labeled by common name. Combinations are categorized by color and form--including single color, bold color, subtle color, similar form, subtle form, and bold form. Alternative plants that give the same look in different hardiness zones are suggested, making the combinations adaptable to all regions of the US. You won't be able to tear yourself away from this eye candy! 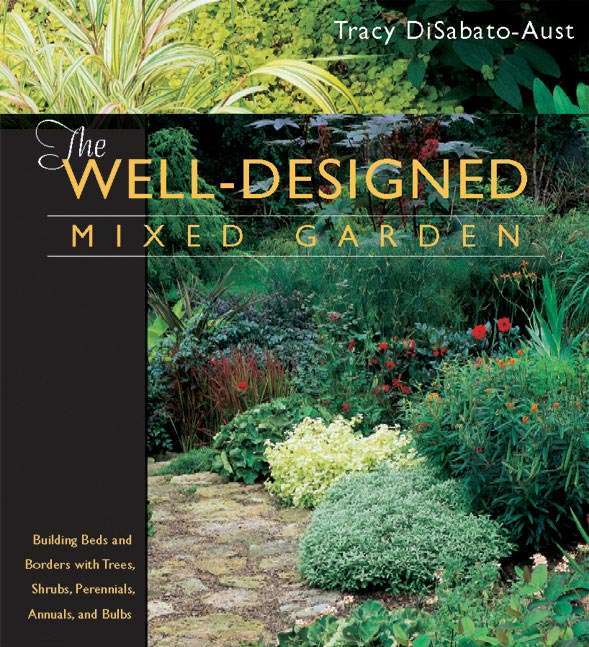 Review from Tracy DiSabato-Aust, author of The Well-Tended Perennial Garden: "Talk about a great combination! Cole Burrell's brilliant design talent blends with his extensive experience as a gardener and a plantsman to make this book both visually dynamic and enormously informative. Not only are there numerous ideas for inspiring design combinations, but practical tips on soil, light, and maintenance requirements for the plants abound. This book should help every gardener-from the beginner to the professional-design gardens that look as good in the landscape as they do on paper." From the Publisher: The art of natural gardening is beautifully illustrated in this full-color, activity-filled book. It demonstrates to readers exactly how to create natural looking, easy-care landscapes in their own backyards. Clear, colorful pictures and easy-to-understand text reveal every planning, installation, and planting tip used by experts to create stunning natural gardens. 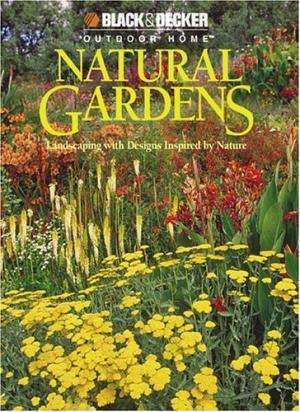 Whether you live near the seashore, in the Midwest plains, in the woodlands, or in the desert, Natural Gardens delivers inspiration and practical knowledge about your region. 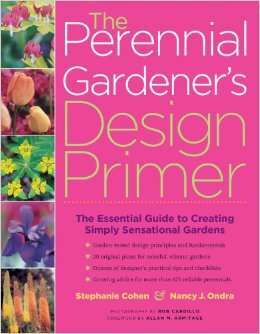 From the Publisher: In this book, authors Stephanie Cohen and Nancy Ondra, two top garden writers and teachers, offer fun, organized, and attainable advice on how to create gorgeous gardens with perennials. They walk the gardener step-by-step through the process of creating new gardens, as well as of bringing new life to gardens that have lost their luster. The authors explain how to pick perennials that suit your site and how to create eye-catching plant combinations. 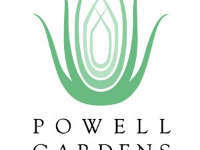 They also offer down-to-earth garden solutions for 20 specific types of gardens. 208 pages, black and white with color insert. From the Publisher: If you've ever wondered about the people and places immortalized in plant names, this enlightening and entertaining book will provide some answers. 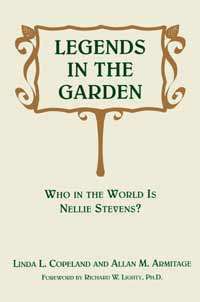 Legends in the Garden introduces 46 people and places--some familiar, others unknown--associated with popular garden plants. 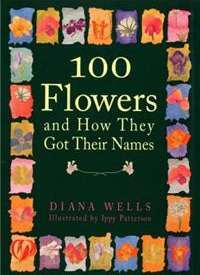 This delightful book combines accounts of the lives of these intriguing characters with descriptions of the plants that bear their names and the stories of their chance discoveries or deliberate breeding. 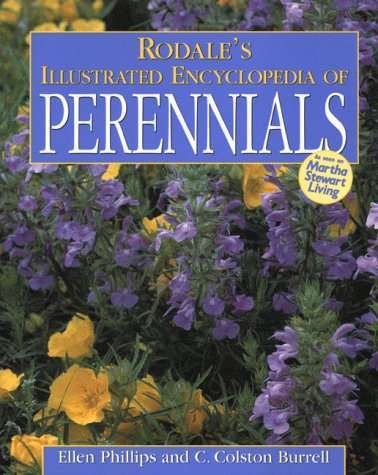 This informative encyclopedia details 150 of the author's favorite perennials for great-looking, trouble-free gardens. Each plant record includes a summary, growing and propagating instructions, best uses, and companion plants. 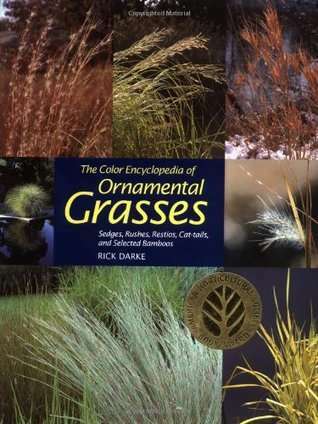 Considered to be the most authoritative and best-illustrated reference ever published on ornamental grasses. In addition to the illustrated encyclopedia of ornamental grasses, Darke discusses how to use ornamental grasses to complement other perennials in the landscape. In this book, master designer and plantswoman Tracy DiSabato-Aust provides inspiration and organized information for passionate gardeners. The book is really four books in one. First, it is a master class of design fundamentals, with an emphasis on topics often neglected in other design books such as site evaluation, color theory, and planning for maintenance. Her step-by-step approach is sure to appeal even to beginning gardeners. Second, this book contains a gallery of detailed design plans that show how ideas are put onto paper and then translated into three dimensions. Gardens of all sizes are included, along with accompanying plant lists and beautiful photographs. 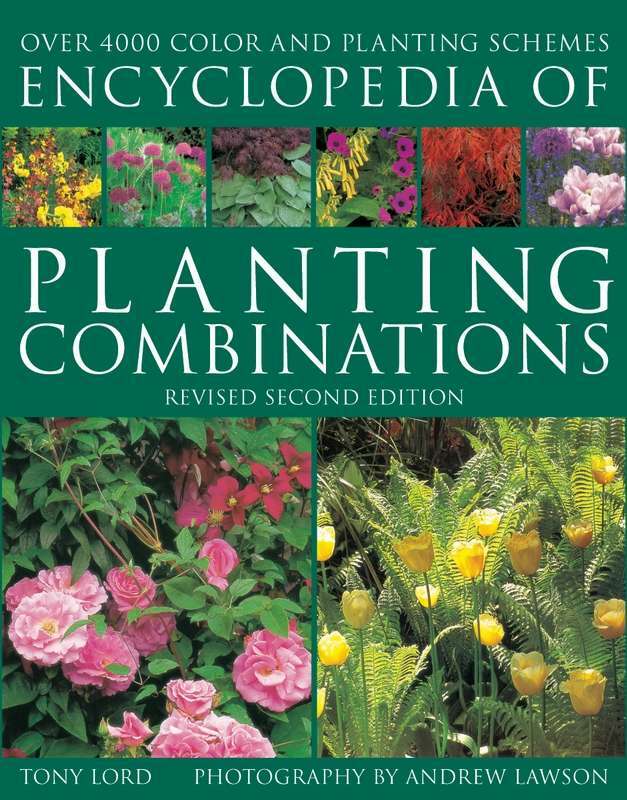 Third, an Encyclopedia of Plant Combinations presents 27 sample vignettes of compatible plants. Each entry addresses the design considerations at play--what makes the grouping work--and provides tips on how to keep the combination looking its best. Fourth, this book includes very extensive appendixes which detail the characteristics and maintenance requirements of hundreds of trees, shrubs, perennials, annuals, and bulbs. These useful charts and lists contain all the information designers will need for every landscape purpose and could qualify as a book in themselves. 384 pages, black and white with color inserts. This guide to garden maintenance shows how careful planning and judicious care can extend the visual pleasure of your garden from a few brief days to long weeks and even months. Learn about deadheading, pinching, cutting back, thinning, disbudding, deadleafing, and other techniques that will produce more flowers, encourage growth, and stagger bloom time. 328 pages, full color. Available in hardcover and spiral bound editions. 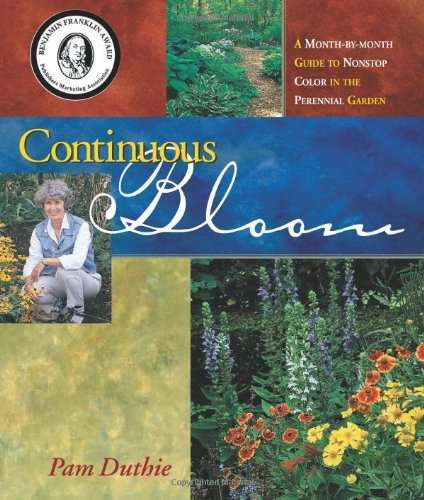 Description from the Publisher: A guide to keeping a perennial garden in bloom from April through October, this book provides all the information a gardener needs to grow beautiful flowers. 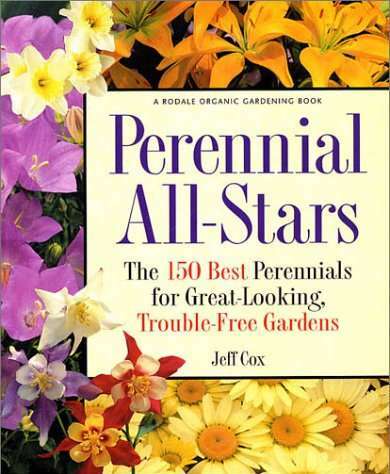 Detailed information includes descriptions on 272 types of perennials along with their bloom length, light and soil requirements, care, propagation, potential problems, and companion plants. 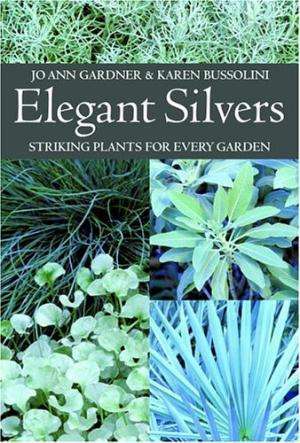 From the Publisher: In this comprehensive and inspirational compendium, silver aficionados Jo Ann Gardner and Karen Bussolini have selected and vividly illustrated the best silver plants for a broad range of growing and design needs. Whether you decide to add a dash of quicksilver or the soothing perfume of an ancient herb, this in-depth guide to plants of uncommon beauty and versatility is certain to change the way you see and plant your garden. From the Publisher: What gardener hasn't been disappointed with borders after spring blooms have faded? Designing a garden with the focus on flowers is missing half the fun, according to the author, an expert plantswoman and popular horticultural educator. Working on the premise that the form of the leaf is the most important design element, Glattstein explains the basic leaf shapes and how to balance them pleasingly. Color also adds dimension to plantings, and Glattstein includes individual chapters focusing on specific tonal palettes. 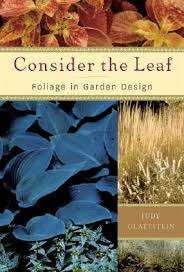 Each chapter is filled with plant suggestions and hints for successfully incorporating foliage into the garden. More than 110 photographs illustrate foliage effects, from subtle to dramatic. This lively and information-rich book will benefit gardeners and landscape designers alike. 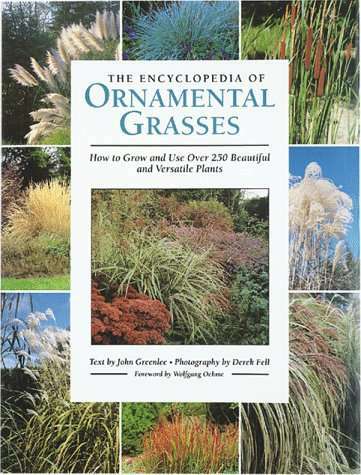 Contains a comprehensive list of over 250 ornamental grasses and their cultivars, describing each plant in detail including cultural requirements, propagation, and landscape use. A comprehensive color encyclopedia of the world's finest hosta cultivars and species. 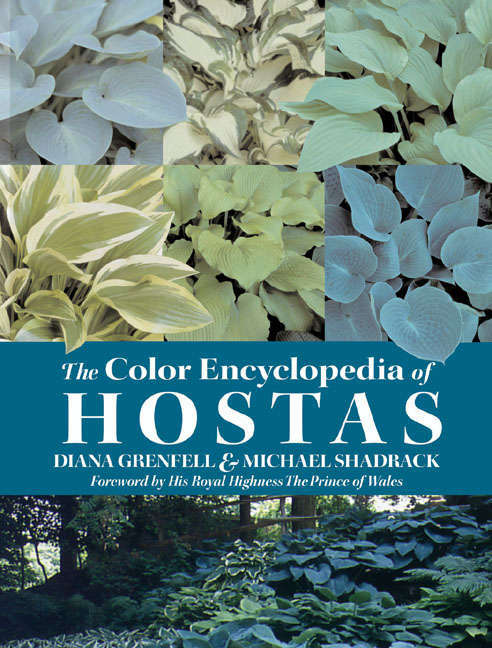 Organized by color, this book provides a full description and color photograph for more than 750 hostas. 724 pages, black and white. 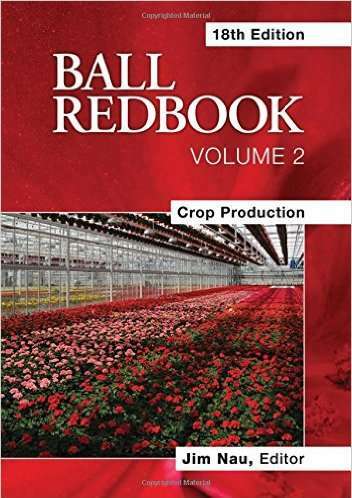 This book provides the most up-to-date and helpful growing techniques and cultural details for specific crops. Written by Green Industry professionals and leading academics, Crop Production presents the information in a clear, concise manner. This isn't theory--it's what works in real-world production. 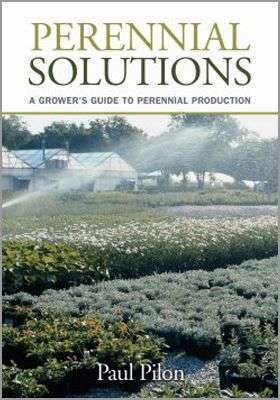 In Part 1, you'll find chapters devoted to: water, media, nutrition, pH, temperature, light, growth regulators, managing insects and diseases, managing pest resistance, propagation, indexing for disease, and post-harvest care of flowering potted plants. A comprehensive guide to designing perennial gardens, from choosing the right plants to using garden ornaments. 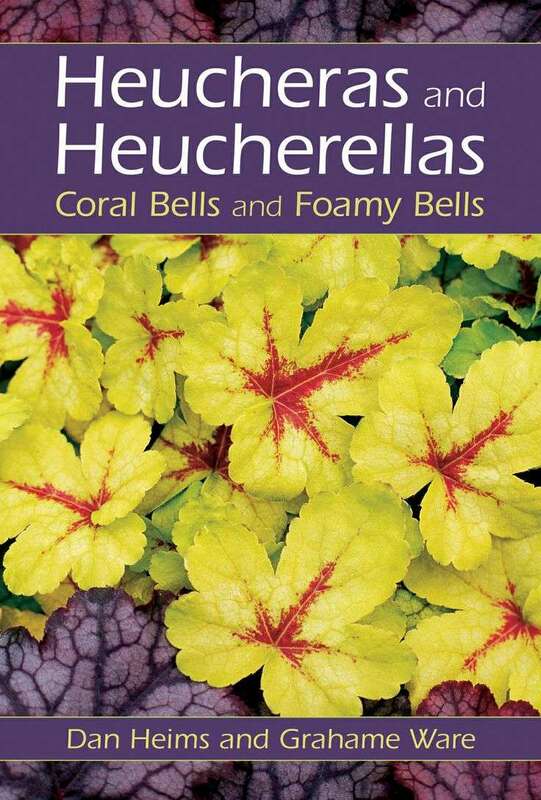 This book features an extensive listing of the hundreds of choice selections and hybrids of Heucheras and Heucherellas available today. 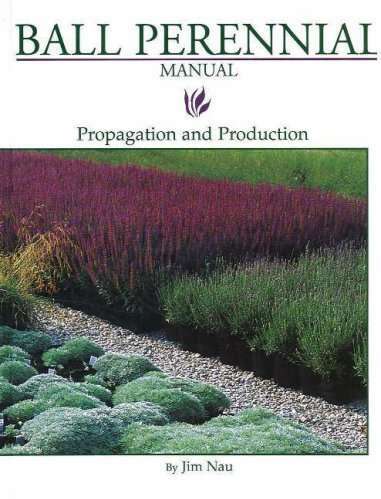 Also included are practical chapters on garden care, propagation, and design uses. 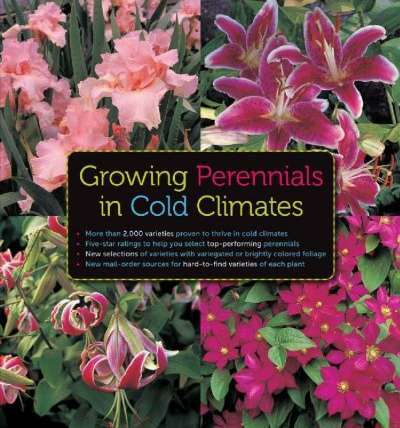 This is an excellent resource for gardeners in cold climates. Its detailed information is garnered specifically for this type of garden and only lists and explains perennial varieties that are hardy to these climates. 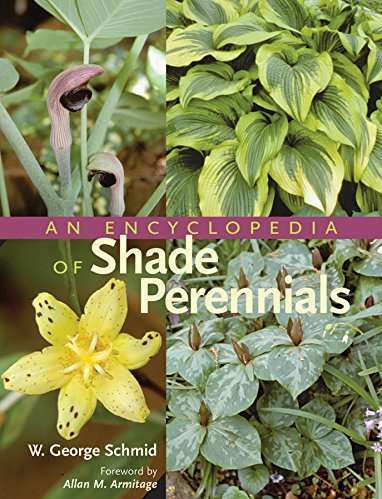 An informative and insightful encyclopedia of perennials, organized by characteristics such as long-blooming, water-loving, fabulous foliage, etc. Each plant entry includes a plant profile, growing tips, list of good neighbors, problems and solutions, the top performer in its class, and other recommended varieties. 374 pages, black and white with color insert. Well respected, and the most practical hardy perennial guide in North America. 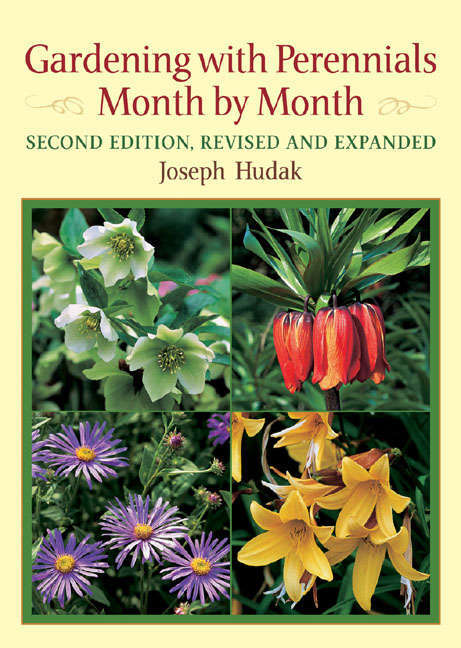 This guide provides month schedules of different genera and species' bloom periods, as well as providing general information about the plants. From Carol Haggas of Booklist: "Perennials paired with trees, trees teamed with shrubs, shrubs surrounded by bulbs: good garden design exists when several elements coexist serendipitously. Achieving such harmony doesn't have to be hard work, according to Lord, who covers all bases with concise yet comprehensive commentaries on the design characteristics of more than 1,000 individual plants. Accompanied by Lawson's crisp photographs of more than 4,000 visually compelling garden combinations, Lord succinctly illustrates each plant's design capabilities, then thoughtfully suggests a roster of complementary plants to take the guesswork out of good design. 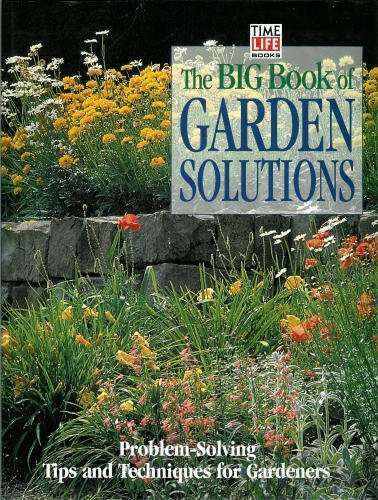 If there is a better organized gardening book available, its existence is unknown. Indeed, Lord could set a new standard for the term user-friendly, for few guides could rival his treatise for the practicality of its structure or for the quality of its information. Each entry contains at-a-glance information on plant companions and cultural requirements, and helpfully lists photographic cross-references. For professionals and amateurs alike, this guide is a godsend." 379 pages, black and white with color insert. 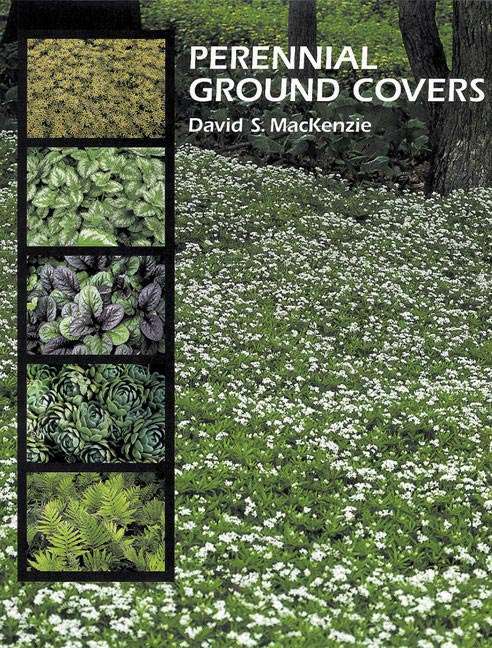 Ground covers take on new meaning in this informative and enlightening book. Scientific explanations of hundreds of perennials are included as well as a handy ground cover selection chart. 176 pages, black and white. 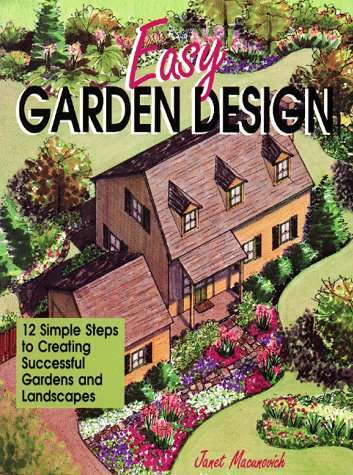 This is a helpful guide for the daunting task designing your garden. In her book, Janet Macunovich breaks down the design process into 12 simple steps. Following these steps, your garden or landscape is guaranteed to be beautiful! "Today, the reality of a “bigger is better” garden no longer holds the same allure as a “small is beautiful” one. We’re busy, we’re aging, and the demands of the garden can feel overwhelming. What to do? Make smarter use of the space we have and the plants we select, says garden expert Kerry Ann Mendez. In The Right-Size Flower Garden, she shares her successful recipe for having a garden we can manage and love again...the right-size, low maintenance, drought tolerant garden. The goal is ditching 50% of the work by choosing high-value plants and making simple design changes. You’ll learn which plants to switch out, which ones aren’t worth the effort, and which tools and practices will take the “chore” out of gardening. 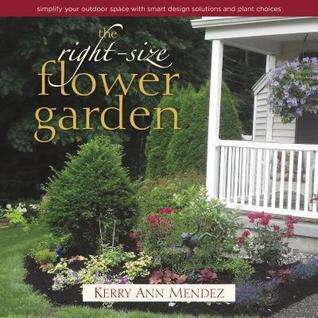 The Right-Size Flower Garden is filled with beautiful full-color photos, practical tips, “plant this not that” lists, and valuable shortcuts to success." 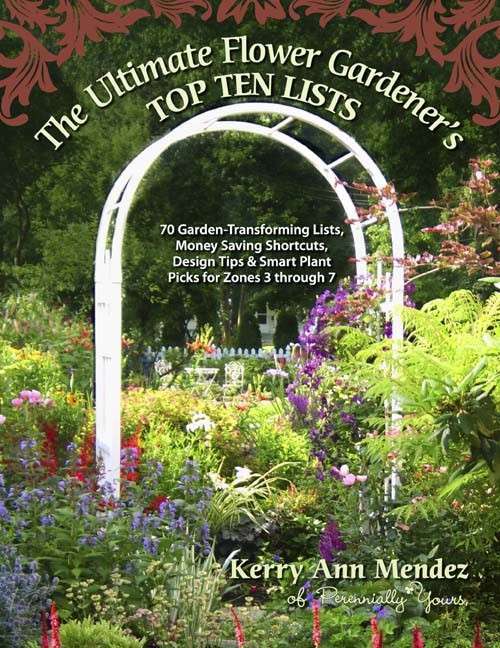 This book, written by Kerry Ann Mendez the founder of Perennially Yours, focuses on useful and practical perennials recommendations for all gardeners, particularly those looking for a high quality and low maintenance garden. This book, written by one of the best known daylily breeders, discusses the developments of daylily breeders from 1900 to 1989, as well as the history of the American Hemerocallis Society. Also included is a listing of daylily cultivars and their descriptions. 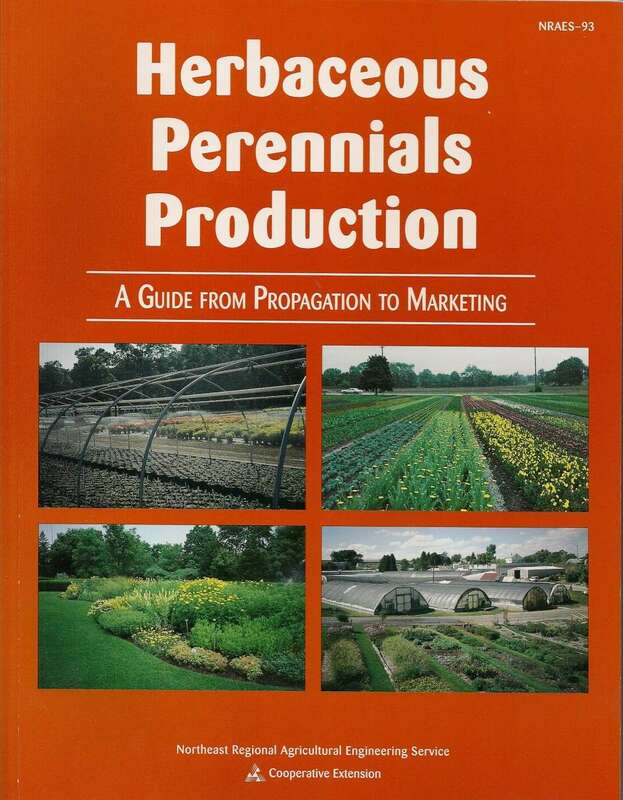 Borne out of Ball Seed Company's detailed tests for germination rates, hardiness, adaptability, performance, and usage of a broad range of herbaceous perennial plants, this book provides the answers you are looking for on how to grow specific genera of perennials. For each plant, the following information is provided: Botanical name and family, common name, description, hardiness, season of bloom, propagation methods, germination overview, growing on, varieties, related plant material, uses, and cultural advice for the home gardener. 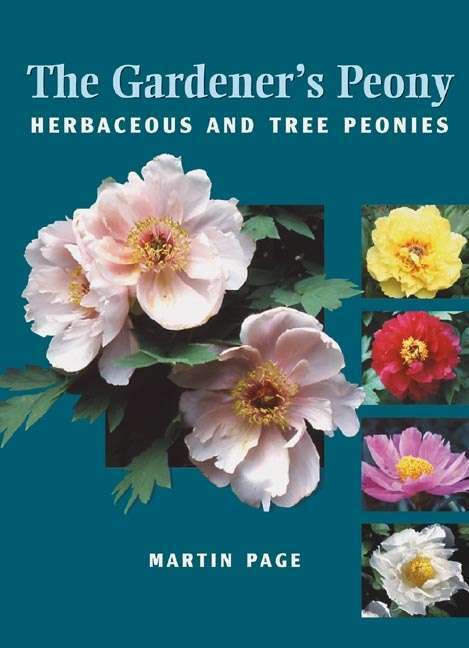 A detailed encyclopedia of peony species and cultivars. Also includes information on peony breeders and botanical gardens with peony collections. A detailed collection of growing tips, landscape uses, and general knowledge in a comprehensive A-Z encyclopedia form. 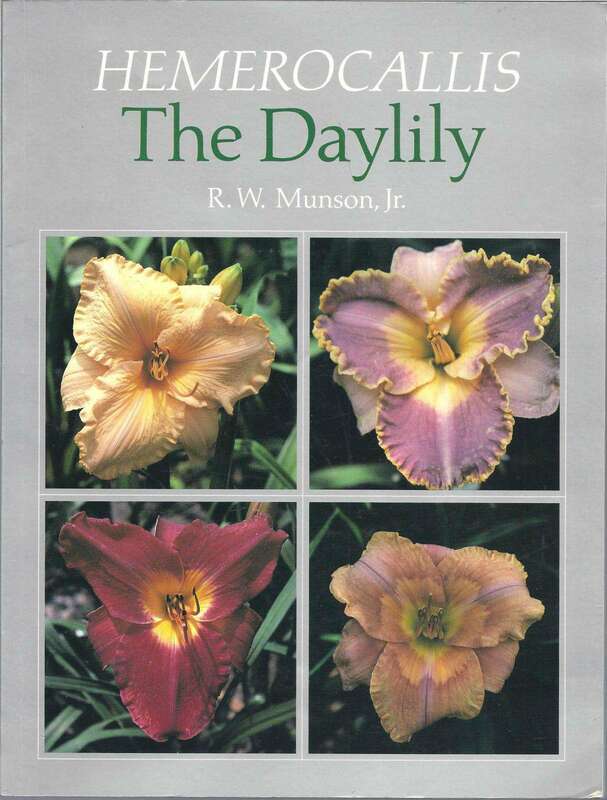 From the Publisher: This book covers the vast array of daylily hybrids that are available today. Close-up photographs show the detailed characteristics that hybridizers work for. Each photo is accompanied by a description of the daylily's color, size, bloom season, and parentage. 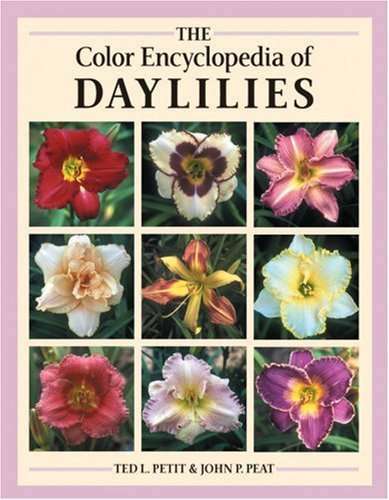 In addition to the pictorial encyclopedia, the book offers information on daylily cultivation and hybridization. This book by grass expert Martin Quinn and writer Catherine MacLeod arms the reader with the knowledge you need to beautify your garden, lawn and home. Grass Scapes provides a quick solution on how to use ornamental grasses to meet your landscaping needs. The ornamental grass is very low maintenance, especially hardy, resistant to disease, and able to flourish in a wide range of soil and climate conditions. Aesthetically these grasses are quite unique, creating movement, colour, and variety in all kinds of gardens. This book takes the ornamental grass beyond just an expanse of turf and transforms it into a staple sculptural element for every garden. 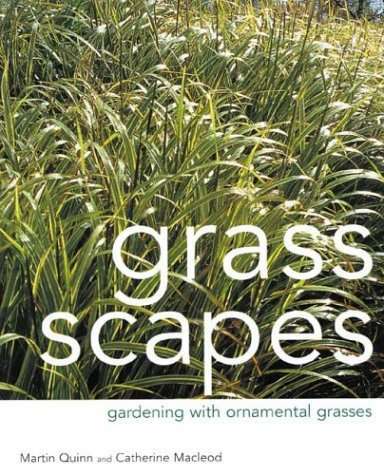 It is written so that gardeners of all levels of practice can comprehend it, giving the reader the simple skills to garden confidently with grasses. Martin Quinn, who is locally known as "The Grass Man," shares with the reader a plethora of knowledge gained from his growing over 120 varieties of ornamental grasses. Martin and Catherine married in 1991 and have collaborated over the years to combine the many photographs and the vast knowledge into a wonderful book that you just have to pick up and enjoy. Combines thousands of beautiful, close-up plant portraits, along with detailed horticultural information and planting suggestions for more than 5,000 individual species and cultivars, including the newest introductions. 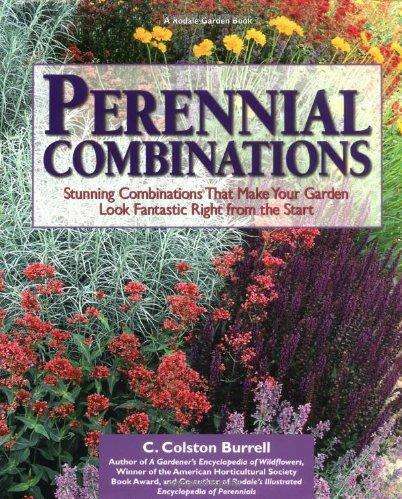 Scientific explanations of hundreds of genera of perennials and their cultivars. 346 pages, black and white. 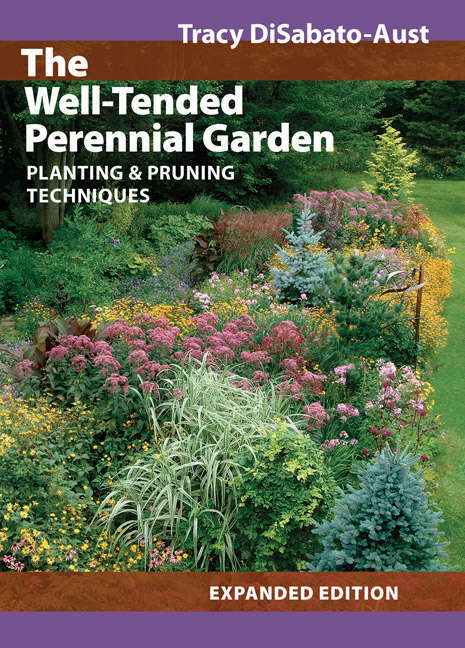 An exceptionally thorough book of lists of every category of perennial including: dry shade, erosion control, aromatherapy, native, winter interest, and much more. 814 pages, black and white with color insert. In this fourth edition of THE reference on herbaceous ornamental plants, Dr. 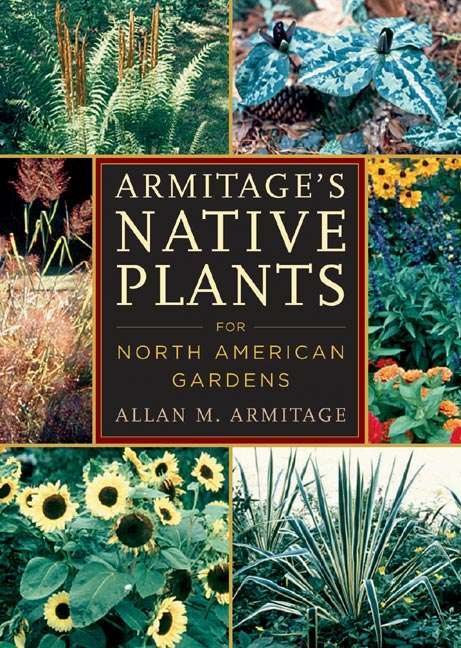 Still provides detailed information about common and uncommon annuals, biennials, perennials, bulbs, ornamental grasses, herbs, and hardy ferns that are adapted to most climates of the US and Canada. Using a standard format, the following information is provided for each plant entry: Botanical name, common name, leaves, flower, habit, season of bloom, culture, utilization, propagation, diseases and insects, hardiness, cultivars, additional notes, native habitat, and a line drawing. 352 pages, black and white. Product Description: "From everyday gardening terms to essential botanical Latin, this illustrated book is truly a dictionary of horticultural literacy for gardeners of every level of interest and experience. 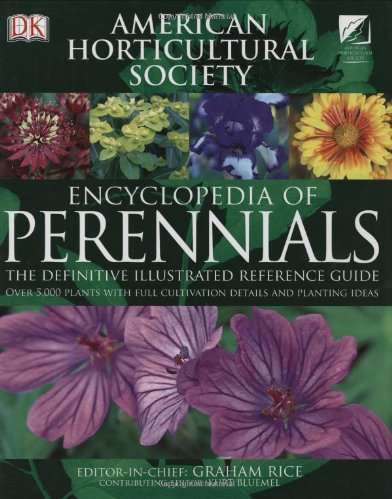 With 2,000 entries and 275 illustrations, Taylor's Dictionary for Gardeners defines and clearly explains the terminology of horticulture, including:The botanical names of common species, or how to read a plant label, Horticultural terms - the difference between genus,species, cultivar, and hybrid, Garden techniques, such as what it means to scarify seeds and distress roots, The anatomy and physiology of plants, including the everyday significance of apical dominance, Historical gardening terms and styles, from ha-ha to bedding out. The book also includes names and descriptions of garden tools and insect pests, brief biographies of famous gardeners, and listings of botanical gardens and institutions in the world of horticulture." From inside back flap: "The Big Book of Garden Solutions contains an inspirational photographic gallery of gardens, as well as detailed garden plans for difficult sites. 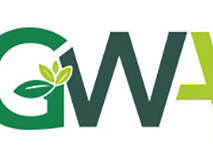 It covers topics like design strategies, problem-solving garden techniques, how to grow a healthy lawn, coping with garden pests, controlling weeds, and preventing plants disease. 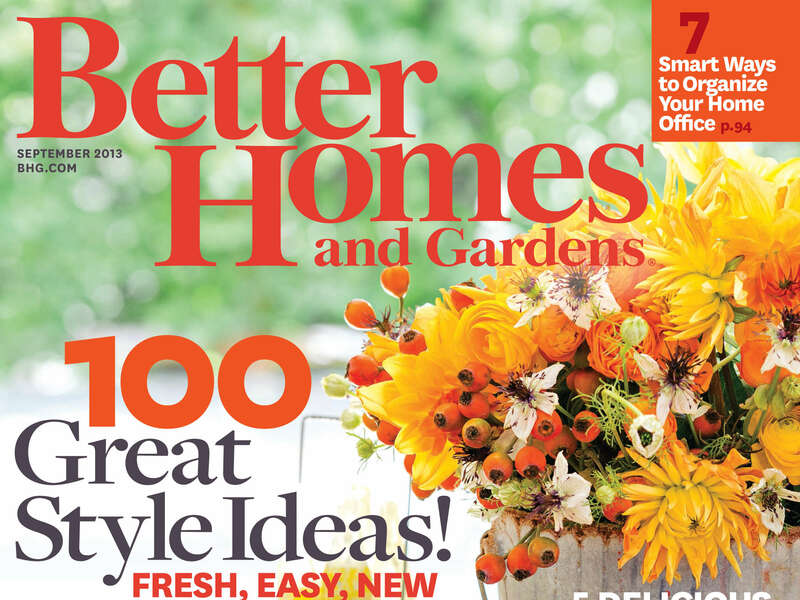 Plus, you'll find expert answers to common gardening questions, a plant selection guide, zone and frost maps of the United States, and an encyclopedia of easy-care plants." 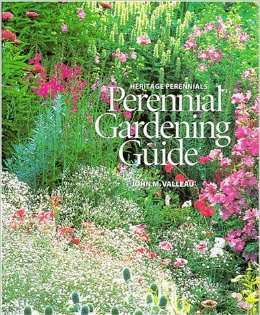 Now in its fourth edition, the Perennial Gardening Guide from Heritage Perennials in Canada continues to provide a thorough and detailed explanation of hundreds of herbaceous perennials and their related cultivars. 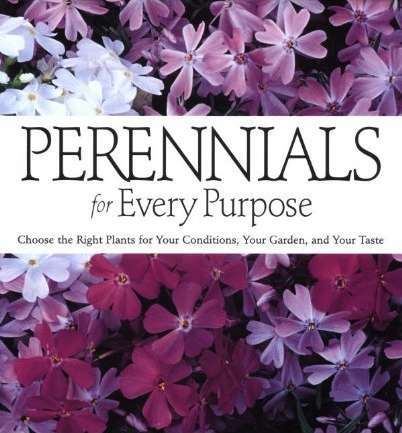 We've found this book to be one of the most accurate resources for perennial plant information. It includes practical knowledge for each plant along with detailed cultural notes. 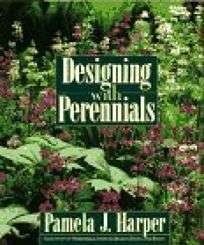 The basics of perennial garden design and maintenance schedules are also included. 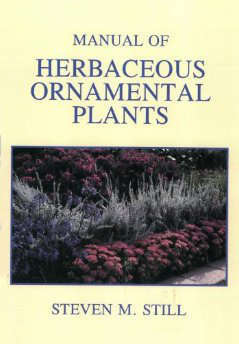 A unique book filled with the history of 100 perennials, annuals, bulbs, and shrubs. Learn how the plants got their names, who discovered them, how they have been used since their discovery, and much more. Introductory chapters describe the history of hostas, taxonomy of the genus Hosta, the American Hosta Society, how to grow hostas, what to plant with hostas, and how to propagate, hybridize, and select mutants. Then each hosta is examined in great detail. Mound dimensions are listed. Leaf size, color, shape, texture, substance, and vein pairs are described. Flowering habits such as time of bloom, flower color and size, scape height, and pod formation are also included. 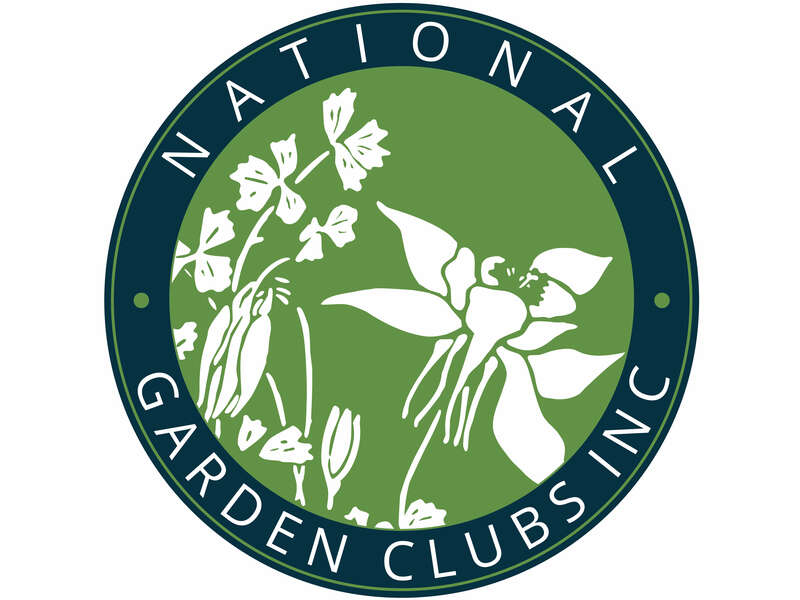 A "Comments" section covers each plant's origins, any AHS registration information, possible usage in the landscape, and the author's opinions. Over 1300 more hostas are briefly described in "Seedlings, Sports, and Other Related Types" and "Other Similar Types" sections. Other features of The Hosta Handbook are the 300 color photographs, an extensive Hosta Name Index (with references to proper nomenclature), and the "Hosta Problem Solving Guide". The latter identifies 15 basic problems afflicting hostas and how to control them. The Hosta Handbook can be thought of as a field guide to hostas and is meant to be carried around in the garden. The 4 1/4" wide by 9" long format lends itself to this purpose. All in all, The Hosta Handbook will be useful to the most experienced hosta aficionado, as well as beginners, enthusiastic gardeners, nurserymen and taxonomists alike.